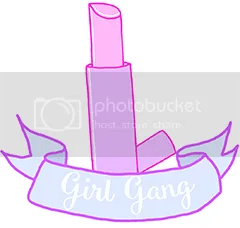 Hey gang! 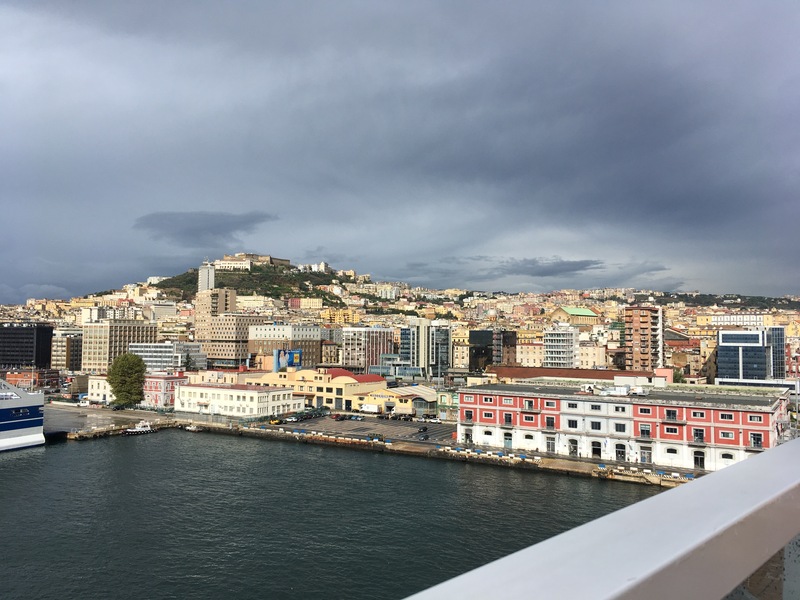 Today we reached our first port, Naples! Due to my poorliness last night, I slept in with Sarah til about 8am, while Sammy headed off for her excursion to Pompeii. When we finally dragged ourselves up, we grabbed a quick breakfast in Cabanas, then I dragged Sarah with me to the gym where, to my amazement, she actually stayed! Well, I worked out and she had a bit of a walk on the treadmill and did a few squats while dressed in denim shorts and flip flops, haha! 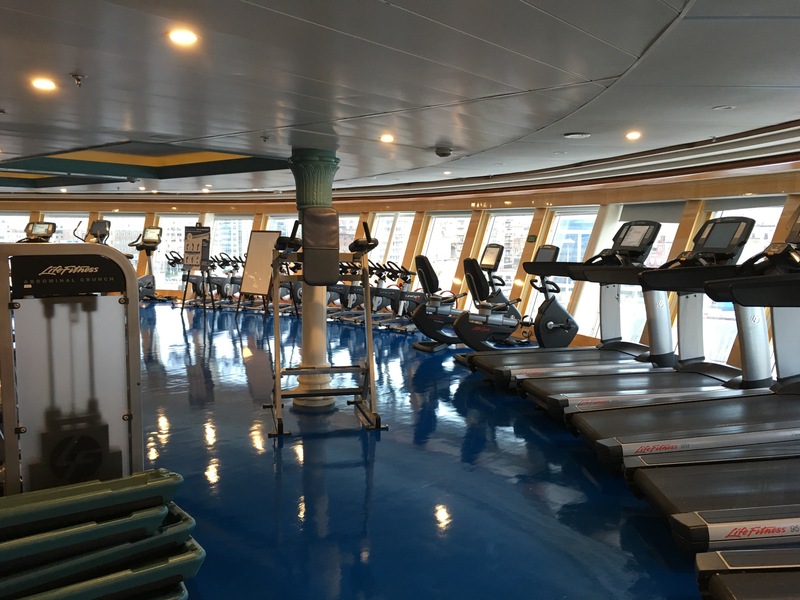 The gym was fab; really spacious and lots of equipment – I was definitely in my element! After showering and getting dressed, we decided to do a tour of the various kids clubs that were having open houses, as they’re normally off limits to anyone who isn’t of the age range. First stop was Edge, then Oceaneer’s Club (which we both could have stayed at forever) then we went to Vibe before stopping for some lunch. 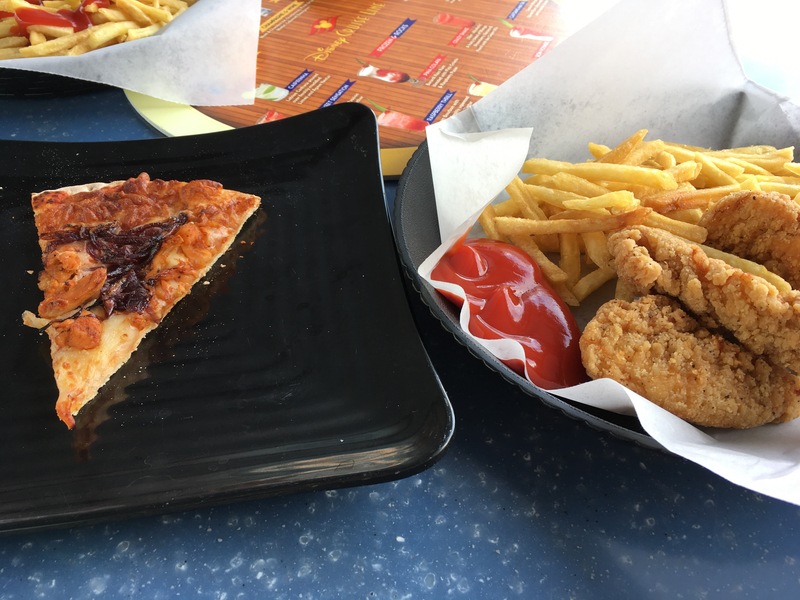 To mix things up, we went to Boiler Bites instead of Cabanas, and also got a slice of pizza from Pinocchio’s Pizzeria, and sat by the main pool watching Jungle Book on the Funnel Vision screen. As the weather was getting worse and we were getting colder, we decided it was time to cave in and go back to get jumpers, before heading down to the lobby atrium as Captain Hook was due to come out, but as Sammy arrived back early from her excursion starving hungry, we went back up to the deck to get her some food and an ice cream. Once we were suitably full of soft serve, we went back to the lower decks where we bumped into Chelsea and family, and Chelsea joined us for another trip to the kids club open house – where much silliness occurred! – and then to take more photos in various locations before queueing to see Minnie, then went to change for dinner. Despite a small power outage, the rest of the evening went fairly swimmingly. First on the agenda was the evening show, Walt Disney: The Dream Goes On, then we took photos in the atrium and queued to meet Mickey before dinner at Lumiere’s, which was another incredible meal and I probably walked away twice the size! Once stuffed, we went to meet Donald, followed by Daisy, then ducked (get it) into D-Lounge to see the Saludos Amigos Fiesta, but as it turned out to be more of a dancing lesson than a dance party, we called it a night and headed to bed for some much needed sleep as tomorrow will be a busy day! Rome, we’re coming for you! 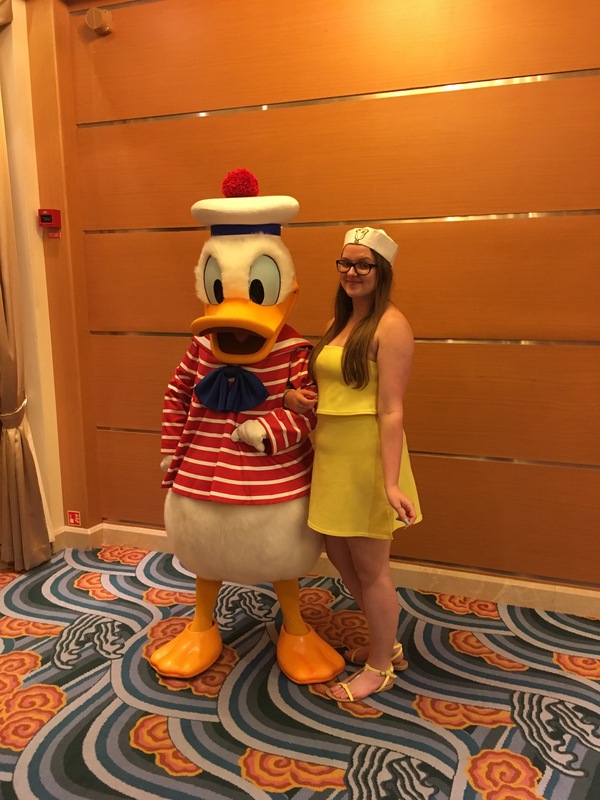 This entry was posted in Disney Cruise, travel and tagged disney, Disney Diary, Disney Magic, travel. Bookmark the permalink. 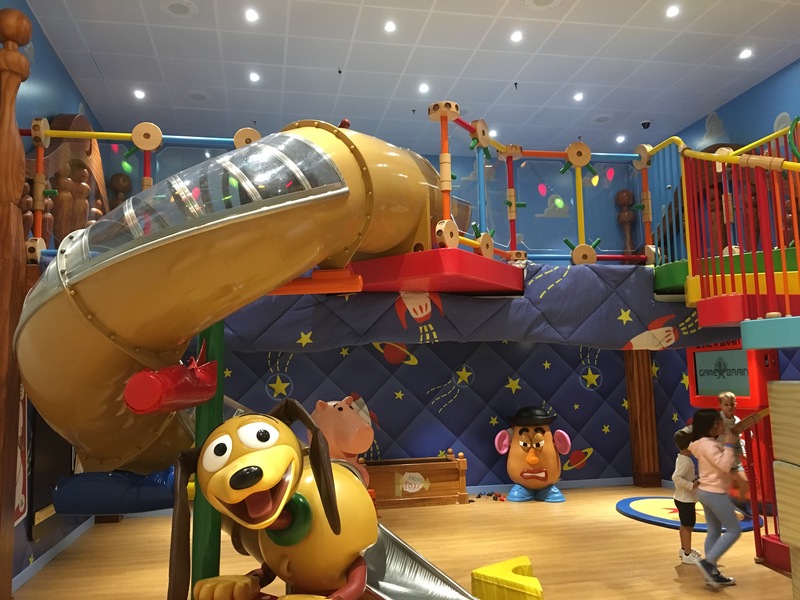 That slinky dog slide looks amazing, I don#t think I’d want to leave the boat tbh. Glad you all look like you’re enjoying yourselves.